Nicotiana glauca as know as Tree Tobacco was considered the most powerful of the Nicotiana species. The hallucinogenic properties were believed to be more powerful and, like all of the Nicotiana, it was used for many medical treatments. Some are studying Nicotiana glauca to be used as a treatment for nicotine addiction since it does not contain nicotine. 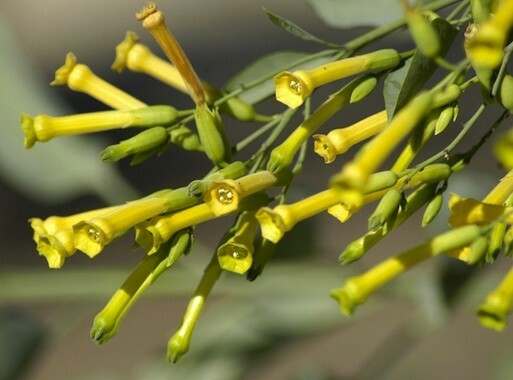 Instead, Nicotiana glauca's active ingredient is anabasine - an alkaloid similar to nicotine.